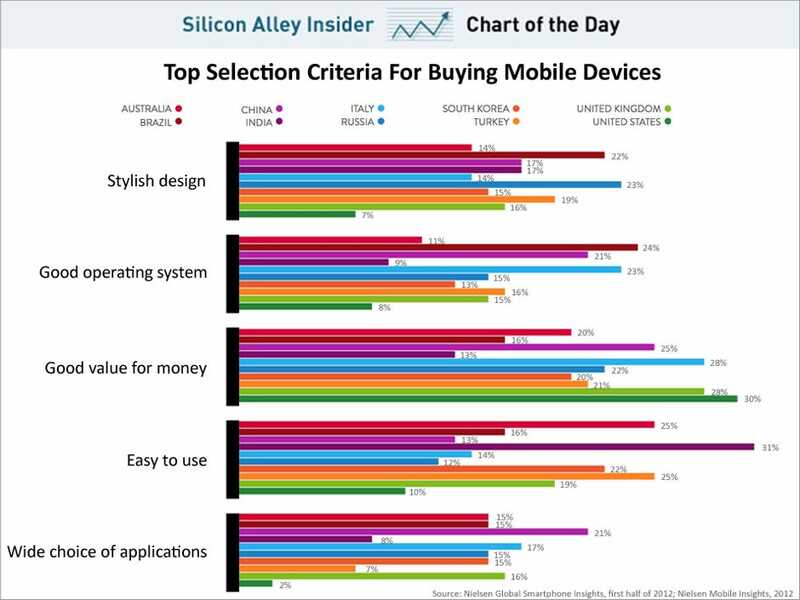 Nielsen did a survey of consumers around the world to find out the top critera for people buying mobile devices. You can see the full results here. It varies from country to country, but “good value” is the most important thing. How you define that is in the eye of the beholder, we suppose.